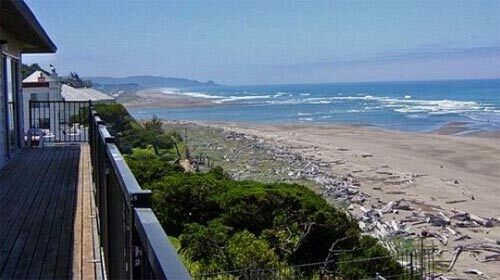 (Lincoln City, Oregon) - Not a bad view in the house, with a whole lot of central Oregon coast ocean or trees filling up your view. Then there’s that direct access to the beach below. 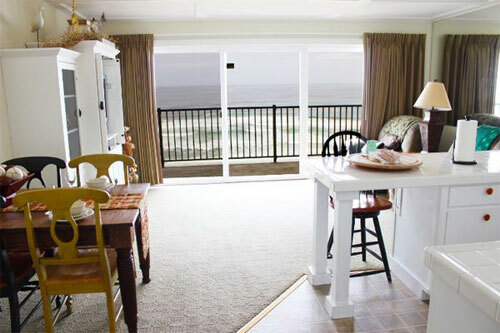 There’s a lot to love about the Ocean Terrace Condominiums in Lincoln City, and there’s a lot going on. 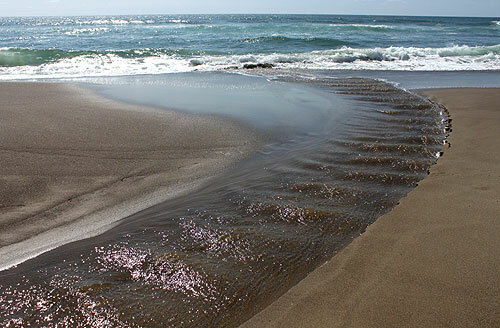 That stretch of beach is prime for all kinds of regular fun like strolling, kites, and beach finds. But it’s also a good spot for agate hunting. If the weather doesn’t cooperate, stormwatching is awesome here and there’s a surprising amount of indoor fun to be had within the sprawling complex. It’s also a place with an interesting history, one that goes back to the pre-war years and includes servicemen returning from Europe to grab a nice place to live. Apparently, this grand motel started as a swanky apartment building. Wes Ryan, a longtime manager of Ocean Terrace Condominiums, is familiar with most of the history of the place. The original version of this place built somewhere in the late ‘30s or early ‘40s, he said. Back then it was just one building – the one now known as the courtyard view building, which is the initial construct you see upon entering and which faces the road. Ryan said around 1950 to ‘52 the building was sold and became the Ocean Terrace Motel. Later that decade, more units were constructed where the garages had been. In 1964, Ryan said the top floor caught fire and the owners then decided not to rebuild, but instead put on a flat roof. In the late ‘60s, a new building was constructed on the bluff, which is now the oceanfront portion of this central Oregon coast stalwart. These days, you’ll find a dreamy set of units big enough to feel like a vacation rental, all perched some 65 feet above the sands. 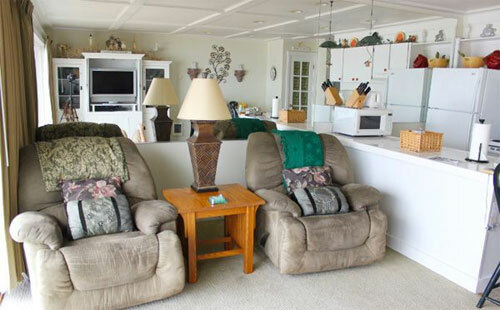 Full kitchens accommodate longer stays, and larger suites can host rather large groups. On days of chaotic weather, they have an indoor heated pool, ping pong and pool tables. Plenty of Lincoln City’s indoor attractions or restaurants are close by as well. For those fairer weather days, most units have a patio or balcony with deck chairs. On top of it all, prices are startlingly inexpensive. 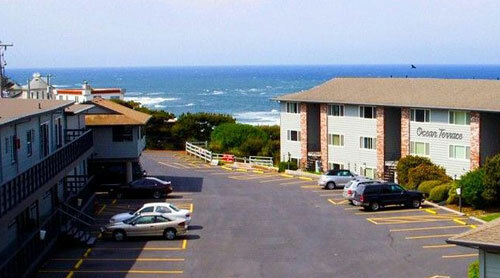 4229 SW Beach Avenue, Lincoln City, Oregon. (800) 648-2119. See website here.